Let it Snow, Let it Snow, Let it Snow…(and snow and snow…) – Ride. Write. Repeat. 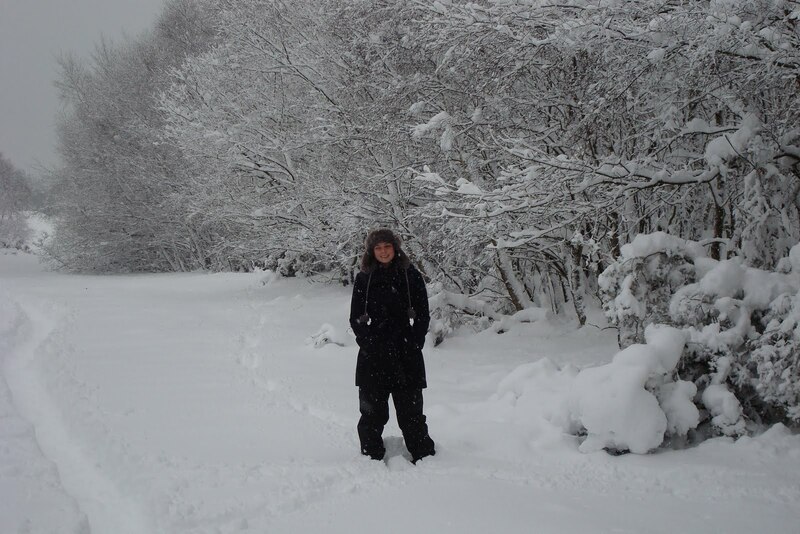 It’s official – the snow outside reaches my knees! The morning passed blissfully and lazily (except the early bird kettlebelling detailed above… carried out before anyone else left the comfort of bed, to minimise anti-social behaviour…), breakfast, TV, tea, reading and the such. However, with the arrival of the afternoon came the activity itch – the need to do something, and to get out of the house. With snow still falling like a toddlers tears after being denied a fancy treat, I decided it would be best to make the most of what the world had decided to offer the people of England. Neither Mutti or I posses a particular good sense of direction, and thus the snow wading session lasted at least two hours. It also included a trouser ripping clamber over barbed wire and up the edge of a roadside woodland ditch – but that is neither here nor there, and best not repeated. I would definitely advertise the activity to friends. Maybe its not an activity for the everyday, but for today, exchanging the gym for a winter wilderness, my mp3 for a nice conversation with my mum, and sweaty, goal driven working out for a casual ramble, definitely won hands down.